Toms Truck Wars is a Racing game on GaHe.Com. 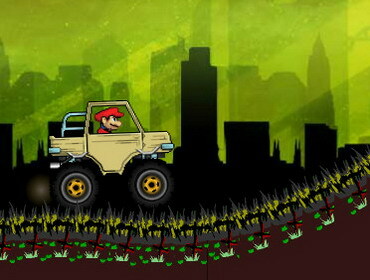 You can play Toms Truck Wars in your browser for free. Enjoy a fun filled racing game with the famous rivals of all time. Tom, Jerry and Spike are now on the driving seats of their fancy trucks to compete with each other. Play all the amazing 10 levels and become the real winner.